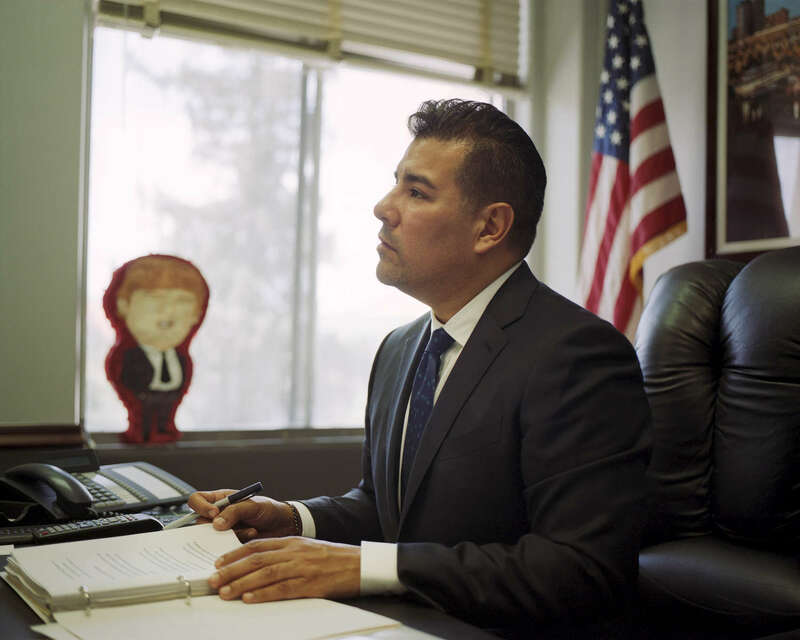 California state senator Ricardo Lara in his office at the Capitol building in Sacramento, CA. Lara wants to do what no one has before him: insure every Californian, even the undocumented. Behind him, on a windowsill, is a Trump piñata from a friend. At the end of the year, he plans to smash it open.